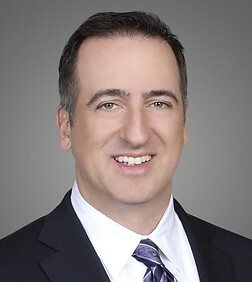 Stephen R. LaSala is the former Practice Group Leader of the firm's Corporate Practice Group. He is also the former Managing Partner of the San Diego (Del Mar) office and former Team Leader of the firm’s Mergers & Acquisitions team. Mr. LaSala specializes in mergers and acquisitions and corporate law. He counsels buyers and sellers in M&A transactions on a daily basis. His practice also includes venture capital and private equity financings, joint ventures, corporate governance, equity and executive compensation, and matters relating to the formation and structure of business entities. He represents both small and large companies ranging from start-ups to well established public companies in a variety of industries including life sciences, healthcare, software, energy, clean technology, consumer goods, construction, aerospace and defense, media and e-commerce. He also represents institutional and individual investors in connection with public and private company investments. Represented AMN Healthcare (NYSE: AHS) in its acquisition of MedPartners for $195 million (up to $215 million including contingent consideration). Represented Cabinets 2000, Inc. in its sale to ACProducts, Inc., a portfolio company of American Industrial Products. Represented Allied Universal in its acquisition of Covenant Security. Represented Lance Camper in its sale to REV Group (NYSE: REVG). Represented The Alaska Permanent Fund Corporation as the lead investor in the $200 million equity financing of Generate Capital. Represented Allied Universal in its acquisition of the security services division of Yale Enforcement Services, Inc. Represented AMN Healthcare Services, Inc. (NYSE: AHS) in its acquisition of The First String Healthcare, Inc. Represented OwnerGUARD Corporation in its sale to an affiliate of AmTrust Financial Services, Inc. Represented Steve Furgal International Tennis Tour, Inc. in its sale to PrimeSport, Inc. Represented GNW-Evergreen Insurance Services, LLC in its sale of assets to Hub International Insurance Services, Inc. Represented Millennium Laboratories in its acquisition of RxAnte, Inc. Represented InfraConsult LLC in its sale to HDR Engineering, Inc. Represented Universal Protection Service, a division of Universal Services of America, in its acquisition of assets of A&R Security Services, Inc. Represented Rebel Distributors Corp. in its sale to PSS World Medical, Inc. Represented the majority shareholder of Evolution Fresh, Inc. in its sale to Starbucks Corp. Represented Universal Protection Service, a division of Universal Services America, in its acquisition of Security Forces, Inc. Represented Lenco Mobile, Inc. in its acquisition of iLoop Mobile, Inc. Represented Universal Protection Service, a division of Universal Services of America, in its acquisition of Shield Security, Inc. and Bower Security, Inc. Represented Universal Protection Service, a division of Universal Services of America, in its acquisition of D.N. Security Services, Inc. Represented ImpediMed Limited, a company listed on the Australian Stock Exchange, in its acquisition of Xitron Technologies, Inc. Represented Longs Drug Stores (NYSE: LDG) in the sale of stores located in California and Colorado to Walgreen Co. Represented Smith-Cooper International, Inc. in its equity recapitalization with ZS Fund L.P. Represented Overland Storage, Inc. (NasdaqGS: OVRL) in its acquisition of Zetta Systems, Inc. Represented Digital Orchid, Inc. in its acquisition of Blue Tech, S.L. Represented SpaceDev, Inc. in a PIPE transaction with Laurus Master Fund, Ltd. Represented Verari Systems, Inc. in its acquisition of MPI Software Technology, Inc. Represented Loudeye Corp. in its acquisition of Overpeer, Inc.